The bulk of the world's population is multilingual, and one in seven Americans speak a language other than English at home. Multilinguals crave answers to question both basic and profound, questions relating to linguistic identity, schools, multiliteracy, how languages are actually learned, and why there are so many variations on individual success. 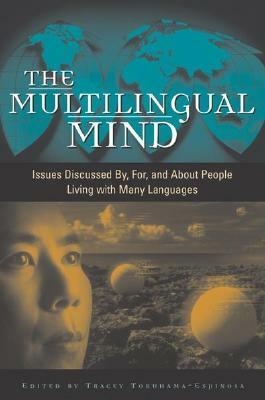 Tokuhama-Espinosa combines solid research, humor, and real-life examples into 21 informative and entertaining essays about people who experience the world with multiple languages. TRACEY TOKUHAMA-ESPINOSA is a native of California who received her Master's of Education at Harvard University and has taught in international schools in Japan, Ecuador, France, and Ecuador. She is currently Professor of Education, Psychology, and Cognitive Sciences at the University of San Francisco de Quito in Ecuador. Tracey has given numerous workshops on raising multilingual children to schools and families in Australia, Norway, Germany, Italy, Switzerland, the Netherlands, France, Ecuador, and England. She speaks and writes in English and Spanish fluently, knows conversational French, some Japanese, and is studying basic German. She and her husband are raising their three children in four languages.